After sinking in for moment, I must stop and think what does that mean? Mary was the greatest Saint. She said "YES" to God in a big way. She said YES without asking questions or trying to decide what it would mean for her life. She trusted God and handed over her life to Him. What if I'm not called for a big YES? What if I'm just an ordinary child of God? 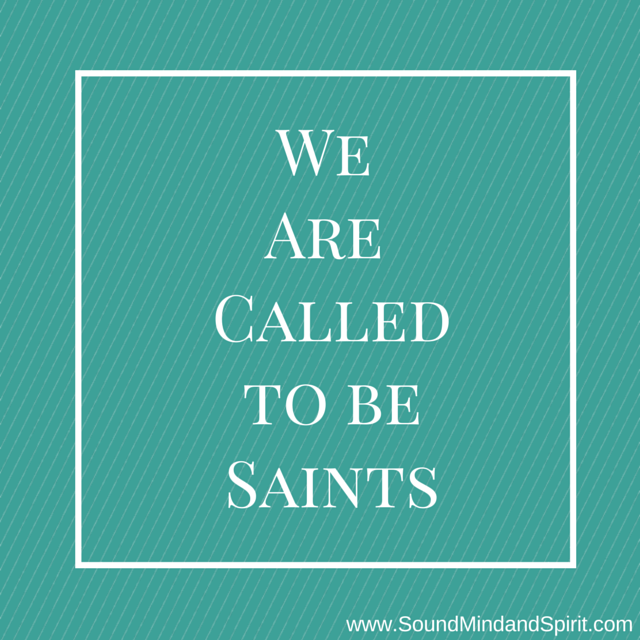 How do I become a saint? Through the example of The Little Flower. St. Therese of Liseaux was an ordinary girl who gave herself to God every day in her "Little Ways." Through the example of Blessed Mother Teresa. While her impact was global, her actions were small and directed to those around her. She showed love and compassion to everyone she met. She listened, she smiled and she prayed. As I contemplate how I can live every day as a saint in the making, I am inspired by the words of Mother Teresa. "Do Ordinary things with Extraordinary Love." Simply put but quite deep. If I put those words into action, it changes how I think about the ordinary activities of my life. Making dinner for my family, keeping house, talking with a friend. Do I show extraordinary love to those around me? I could start by listening, smiling and praying.